Jeanne Doe Dukes Cares! It’s true. Jeanne founded Lewes Counseling LLC to focus on the needs of children and their families and to help individuals dealing with serious life changes: work, health, loss, and marital status. She knows that a collaborative, nurturing style works best, so she promotes a team approach that benefits from the participation of a client’s school or physician. Her goal is always to help her clients achieve their potential. Jeanne is always busy in her efforts to make a difference. She’s currently providing training for the Delaware Department of Education and American Psychological Association about issues affecting LGBT youth, and she is on the advisory committees for Kody’s Kids and the Sussex Technical High School Wellness Center. Jeanne also goes above and beyond in her role with Nurse Next Door to provide long term care and assist seniors as they transition to home health care. Most recently, she began to facilitate relaxation, mindfulness, and yoga classes as a Certified Yoga Instructor. Jeanne has a Master of Clinical Social Work with a specialization in children and families from the University of Maryland, building upon her BA in Sociology with an emphasis on social welfare from the University of Delaware. Whether working in medical, marketing, or any other capacity, Jeanne has always made a point of learning something useful, something great. Now she has a strong foundation of networks, referrals, and professional relationships that she can access to provide the best care for her clients at Lewes Counseling. Jeanne’s professional background is extensive, and all of her previous experiences help her provide a safe, supportive, and compassionate environment at Lewes Counseling. During her tenure with Beebe Healthcare as the Psychosocial Services and Outreach Coordinator, Jeanne optimized departmental procedures to promote a renewed focus on patient satisfaction. Her efforts ensured that Beebe Home Care maintained a strong community presence here in Sussex County. While serving with Nemours Health and Prevention Services as a Community Relations & Senior Program Analyst, Jeanne cultivated strategic partnerships on behalf of the organization. She served as a liaison to school districts, community-based organizations, and statewide early childcare committees. As the Unit Director for the Georgetown, DE location of the Boys and Girls Clubs, Jeanne managed the daily operations of a 100+ member youth group ranging in age from 5 to 18 years. In addition to coordinating all educational and recreational activities, she made sure that the facility remained healthy and safe. For five years, Jeanne made headway at S.C.A.C, the Sussex County AIDS Committee, as its Outreach & Education Director. There she contributed to the success of multiple grants, providing advocacy and social/educational programming to enhance the lives of persons living with and affected by HIV/AIDS. She also coordinated HIV/AIDS awareness activities and provided resources to the community via public schools, colleges, social service agencies, and street outreach. Jeanne has ten years of education combined with over twenty years of professional experience in social work, counseling, and nonprofit management. With extensive knowledge and experience in providing care for diverse populations – individuals and families alike – Jeanne Dukes is well equipped and passionate about helping the residents of Lewes and the surrounding areas. 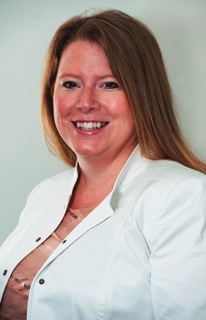 Christine Shaubach, LCSW, CCDP-D, is an Outpatient Therapist at Lewes Counseling LLC. Prior to working for Lewes Counseling LLC, Christine was employed with Aquila Behavioral Health as an Intensive Outpatient Therapist for 3 ½ years. During that time, Christine worked with the adolescent co-occurring population within their environment (school, home, etc.) to improve their overall functioning and decrease their mental health symptoms. Christine provided individual and family sessions to improve family connectedness, decrease behavioral concerns, and worked on personally effective coping skills each individual or family unit could utilize to deal with real life situations. Currently, Christine provides services at Lewes Counseling and with adolescents at a high school wellness center. 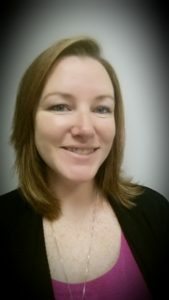 Christine graduated from Salisbury University with a Bachelor of Arts in Social Work in 2010 and successfully completed the Advanced Standing Master of Social Work program in 2011. Christine has completed multiple internships while completing her degrees; including, Guidance Counselor at Mariner Middle School, Division of Family Services Treatment Specialist, and Behavioral Specialist in the health setting. Christine is a Certified Co-Occurring Disorder Professional, Licensed Clinical Social Worker, and is TF-CBT Certified. Christine’s focus is to help individuals navigate through difficult paths and seasons of life; with specific evidence-based interventions, compassion, and empathy. Christine has been working with individuals and families for over 5 years and has a passion for meeting the client where they are, helping the client identify goals of where they want to be, and support them in reaching those goals. If you’d like to schedule an appointment with Jeanne or Christine, please get in touch by calling 302-430-2127. Lewes Counseling LLC is currently hosting Separating and Divorcing Parent Education Classes in Lewes! Now registering for Saturday, April 27th, 8:30 a.m. – 2:30 p.m.
For more information and to register online now, visit Parenting Classes . © 2019 Lewes Counseling, LLC. All Rights Reserved.